You know when you want to smile but just grimace with pain when you turn your neck too fast. Did you sleep on it wrong, AGAIN? It’s the third time this week. Tired of needing sleeping pills and pain medication just to get through the day? Wish you could touch your toes and for those aches and pains to be a distant memory? What if I told you this is just a disharmony? In actual fact, the cause of your back pain might actually be originating from the front of your body. Your chronic neck issue might be coming from your feet. And the energetic rivers in your body known as meridians could be clogged, affecting your entire body, mind and spirit. If this resonates with you, you need an expert. “Krista is very caring, friendly and highly skilled. Her knowledge and techniques are the best I’ve experienced in Louisville. She has helped relieve my chronic hip pain and the tension in my shoulders. Highly recommend her!”- Jess O. 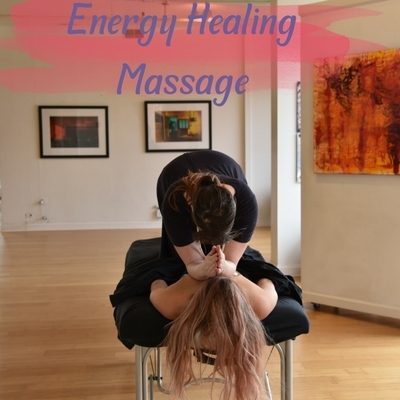 Try a choice between an Integrative Massage which concentrates on what is physically going on with you or dive into a true deep tissue experience with an Energy Healing Massage. Your first treatment includes a free phone consultation with Krista! All massage treatments are for therapeutic massage therapy all services either fully clothed or fully draped as follows massage therapist scope of practice as mandated by the state of Kentucky. Any requests outside this scope will result cancelled appointments and 100% of the treatment cost. Policy 24-hour cancellation is required are reschedule an appointment please call Krista or cancel via the scheduler failure to do so will result in a 50% charge for the time. This is not a psychic hotline. Krista does not have all the answers but rather concentrates on your energies. All appointments are booked through the phone, in person with Krista or through the online schedular. A credit card is required to hold this appointment time.